Volume X covers in detail all the New Zealand Post issues from 1995 to the end of 2009. The stamps are arranged and described in chapters including the definitive issues, commemoratives, health stamps, Christmas, scenic and heritage issues. 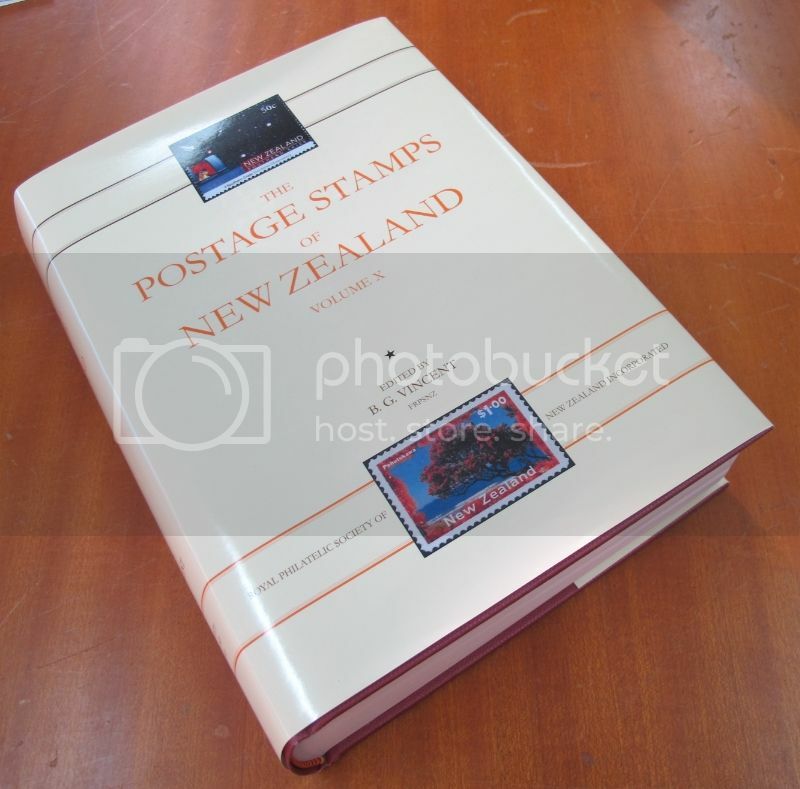 In addition there is a special chapter outlining the development of FDC collecting in New Zealand as well as chapters on the Stamp Points issues, Prestige Booklets and Ross Dependency. CALs are recorded in detail and there is an update on the postal stationery of New Zealand. The book also includes what is certainly the most comprehensive study of the single pane booklets issued during this period. The more recent Game Bird stamps are outlined and there is a historical account of pigeon mail services in New Zealand. The last of the Frama issues are covered and there are appendices on OPSO overprints (updated since the publication of the earlier book on this topic), Cleaned overprints and a short postal history update. This book is in full colour, hardbound with dust jacket. The publication is limited to 350 copies and there will not be a further print run. The book runs to 800 pages. Only 350 copies will be printed, so don't delay. Price to members $45, non-members $55 plus P&P.